When I left home at eighteen I had two suitcases – one filled with clothes and the other filled with books and stationary. My fountain pens, inks, cards, envelopes and other bits were more important to me than anything else because that’s how I communicated with people – by mail. In every country I lived, in all my travels, I wrote to friends and family. I wrote thank you cards, ‘just moved’ announcements (lots of them! ), thinking of you notes, holiday and birthday wishes and more often than not, simple love notes. Christmas cards, however, were always my favourite to write. I’d have stocked up on the perfect cards, turned on the holiday tunes, picked up my favourite pen and then would sit down to write. I took this time to really reflect upon my friendships and write that down for them whether it was thinking about something we’d done together, that’d they’d accomplished on their own, on any major changes that came (first year as a mum, as a married person or alone). I know it sounds cheesy but as I wrote these letters, I’d smile. To be able to sit down, think about and acknowledge friends and mail it off, well, I couldn’t think of a nicer gift. I used to average sending about 150 cards a holiday season, each having a personalized note. Going through my address book was as joyful to me as a good, dishy mag. But over the years, people would move and I’d lose contact, or people just didn’t give addresses anymore because of email & facebook. And those are the same reasons why I used to go from receiving cards during the holiday to receiving only three last year. 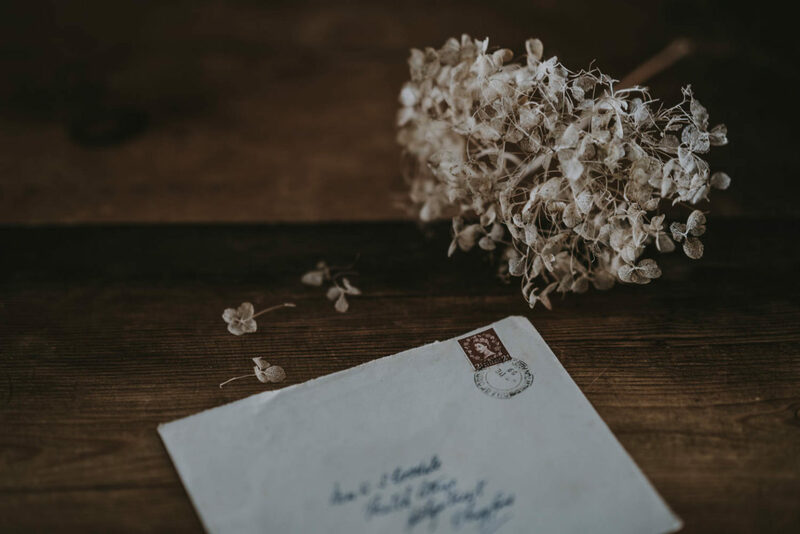 And I’ll confess, that broke my heart a little because there is, I think, nothing sweeter than a note, a piece of mail, of knowing that someone took the time to think of you, write it down, and put it to post. A note from a friend and a cup of tea was the perfect break in the day. And truthfully, writing them was, too. But somehow we’ve become a culture of, ‘that’s too much effort’ to put pen to paper. Technology has changed what ‘connecting’ means – and from what I’ve seen if often means being reminded by a social networking site that it’s a friend’s birthday and that an electronic ‘Happy Birthday’ note will suffice because we’re all so busy. But I think sometimes ‘busy’ is just a polite for ‘lazy’ and that the things that matter to you should always find a way into your (address) book. Your friends should mean more to you than “Merry Christmas” or “Happy Birthday” on their Facebook wall. Even if only once a year you can write someone, do it. Take the time to write a love note to your friend, your family, the person that helped you this year. And maybe, just maybe, they’ll write you back. Hooray, I am so happy you’re back and am going to pretend it was my recent comment that spurred it, ha ha. Happy holidays. I’m coming out of lurkdom. I found you via frenchtoastgirl and I have been folllowing you for years. I’ve been a big fan of Hygge House ever since you opened it, and I’m so happy to see an update, especially one on one of my favorite topics! I’m not a big fan of “the holidays” but I love writing letters and notes and communicating through the mail. However, your talking about how you’d write personalized notes talking about the year has evoked a nostalgic response in me and I almost wish I had had time to write meaningful New Year’s cards, at least. Writing letters is a great way to celebrate the time you’ve shared with someone else and to keep in contact through these hectic times. I will now try to remember to put people’s birthdays in my address book and over the weekend I will endeavor to write a few letters. Thank you for yet another cosy, insightful post. I actually run a site dedicated to letters and connecting with the written word (http://goingpostal.lunsh.net/). Stephanie (above) and I write letters to each other, as a matter of fact, and we both definitely appreciate this post. This year I’ve sent out a bunch of cards and only received some back, but it’s worth it anyway. Taking the time to slow down and pen out a card or a letter is infinitely more rewarding than sending a twitter message. I feel so badly for my children and others their age. In my closet, I have a chest full of letters and cards written from friends and family while I was off living my life. Can you believe that my college friends and I even wrote letters during Christmas break?? I would have bet my house that my brother never wrote to me while I was in Basic Training (not his style)…but…there they were, 4-5 of them wishing me well and giving me news of home. There are letters and funny cards from people I forgot I knew as well. This trunk of treasure will never be known to many in modern life… Facebook and email are instant…but the written word can be savored forever.